The Reshoring Initiative, in conjunction with the Precision Metalforming Association (PMA), the Association for Manufacturing Technology (AMT) and the National Tooling and Machining Association (NTMA), is looking to recognize companies for successful reshoring projects through its second National Reshoring Awards program. Read more. Results of the Q2 2018 Automotive Tooling Barometer by The Original Equipment Suppliers Association, Troy, MI, and Harbour Results, Inc. (HRI), a market-research firm in Southfield, MI, show that the tooling industry experienced a slower-than-predicted 2018 first half, with a significant amount of business pushed to the second half. Read more. An Arkansas company, with a mission to employ veterans, also aims to repurpose trailer bodies into furniture and other products as an alternative to landfilling. Read more. 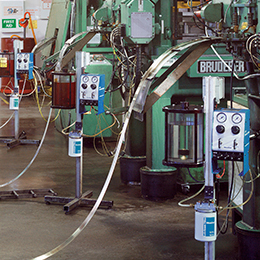 Automated plasma-cutting systems can produce accurately cut parts. Because different gas combinations will react with the cut metal edge and affect weldability, selecting the appropriate gas combination is a key component in ensuring good quality. Read more. August 16, Identifying Parts for Additive Manufacturing. Speaker: Kyle Adams, application specialist, SLM Solutions NA. Attendees will gain an overview of how to assess their components to take the first steps of implementing a metal additive manufacturing strategy. Register here. 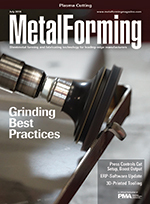 August 23, How Metal Additive Manufacturing Delivers New Efficiencies in Lightweight Parts. Speaker: Bryan Newbrite, advanced aerospace applications leader, 3D Systems Corp. Learn to increase part functionality while reducing part weight and optimizing material usage. Register here. 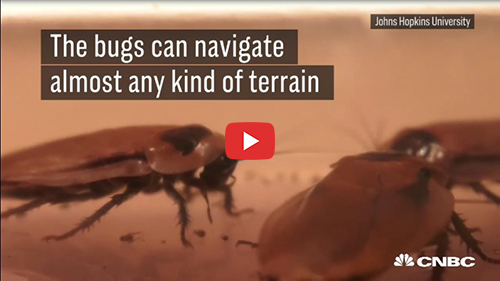 Scientists at Johns Hopkins are using cockroaches to teach robots how to move. Seriously. Learn your options, especially when considering less common alternatives used on thinner materials, as well as time- and money-saving tips. 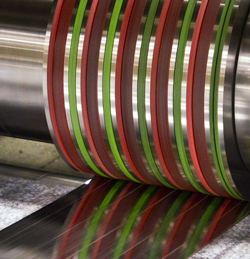 Greenheck Fans relies on advancements in press-controls technology to reduce setup times, spur worker productivity and stay profitable. See also: Heyco Metals, Inc., Nordson EFD, LLC, Bihler of America, Inc.